We have a number of care homes across Surrey offering older people high quality professional services; including convalesce and respite care and specialist support for people living with dementia. As the UK population ages, one of Anchor’s main challenges is to ensure that our services meet the aspirations and changing social needs of our customers. Our Community Relations Managers ensure that useful and beneficial links are created within the local community. 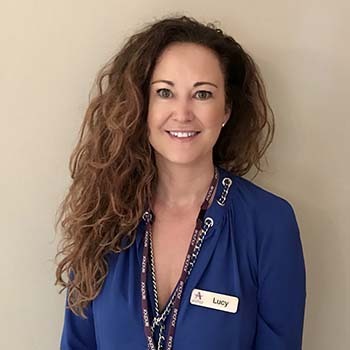 As Community Relations Manager for Surrey, Lucy Brown aims to engage both existing customers and surrounding communities, foster strong local relationships and tackle issues such as isolation and loneliness by working with home managers across her region with activities and events. Lucy is keen to hear from health and social care professionals as well as community groups in Surrey who would be interested in working with Anchor and building positive local partnerships. Anchor recognises that there is still a stigma attached to care homes and conditions such as dementia. Lucy and her colleagues support on-going programmes of educational activities informing the public of the valuable services offered by care homes, and enable them to be a place of trust and a positive experience for both older people and their families. In 2017 Anchor’s care homes across Surrey worked on a research project with the Beth Jonson Foundation that looked at the benefits of drama, music and dancing in improving the wellbeing of older people. The project, entitled 'Experiences of Being', followed a series of dynamic drama workshops in the homes and showed how they can enrich, both physically and mentally, the lives of residents – especially those with dementia. The project findings were featured on BBC News and radio. Anchor continues to explore solutions and new ways of thinking to address the challenges that confront people as they get older, while at the same time recognising, and celebrating, the fact that age is not a barrier to having a full and creative life.